I have very kindly been sent a copy of the 2012 Dairy Diary and The Dairy Book of Home Cookery to review. I’ve had a few Dairy Diaries over the years and they always contain some lovely recipes, so I was delighted to be sent the 2012 edition. The dairy also has some really useful guides giving you the basics into gardening, handicrafts and digital photography. There is a special section covering the London Olympics too, with some fascinating facts about the Olympics generally and the previous London Olympics. There were lots "who would of thought it" being exclaimed when I read this section. It also has a comprehensive section on calendar dates and holidays, along with the type of information you need when you have typically turned off your laptop and don’t have the internet at your finger tips. Such as: Metric conversions and cooking times, anniversaries, birthstones and flowers and much more. There are some useful preprinted lists in the diary too, Christmas cards, Gift ideas and a practical home budgeting section. To make sure you don’t miss those important birthdays or appointments, there is a special sheet of memorable date stickers when using the diary. 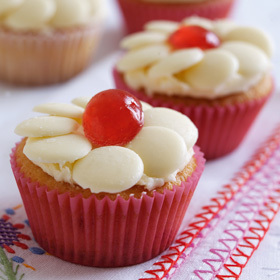 This recipe book contains lots of recipes along with many suggestions on how to vary a recipe, useful for cooks that are not that confident with ingredients. It’s a nice size cook book, not one of those books that takes up so much room on your worksurface there’s none left for you to spread out your ingredients. I also like the ribbon bookmark for keeping your place in the book, very useful for those times you accidental end up turning pages and loosing your spot. The book has some great additional sections covering subjects such as food hygiene, storing food correctly and safely in the fridge, use of herbs and spices and many other helpful subjects. As a keen gardener I liked the list of when seasonal fruit and vegetables were available. 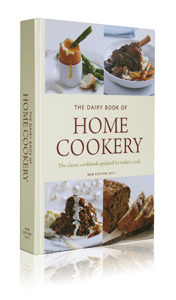 The Dairy Book of Home Cookery can be purchased for £10.49 from the Dairy Diary website. There is currently a competition on the Dairy Diary Facebook page to win a copy of the cookbook, so what are you waiting for - Like the Dairy Diary Facebook page. I was sent a copy of the Dairy Diary and The Dairy Book of Home Cookery for the purposes of this review, all views and opinions I give on this blog are my own.